Achieving “broad international recognition,” which requires lots of efforts and time, remains a top foreign policy priority for Sokhumi, new deputy foreign minister of [...] Abkhazia, Irakli Khintba, said in an interview with RFE/RL's Russian-language service, Ekho Kavkaza, on January 20 . Khintba, 28, an associate professor of politics at the Abkhaz State University, who has been a frequent commentator on Abkhaz-related issues, was appointed as the first deputy foreign minister on January 10. “In principle, foreign policy priorities have not changed; these are: achieving broad international recognition of Abkhazia; strengthening strategic relations with Russia and providing security, sovereignty and independence of the Abkhaz Republic,” said Khintba, adding that this latter priority of providing security also involved issues related with settlement of relations with Tbilisi. “The work over increasing number of those countries, which recognize Abkhazia’s independence, requires lots of efforts, time and creative approach. That’s part of our work and I think there will definitely be results,” he said. “We are guided by the principle of openness; we are ready to communicate, to have contacts with the European institutions. But we have to take into consideration difficulties of the foreign policy context, unresolved conflict with Georgia, as well as other challenges and threats. That’s why we have to be careful and prudent in our relations with the outside world,” Khintba said. “That’s why we continue our participation in the Geneva discussions and deem this format as important and necessary for the sides in the region to exchange information and to make the Abkhaz position to be heard on the international level,” Khintba said. 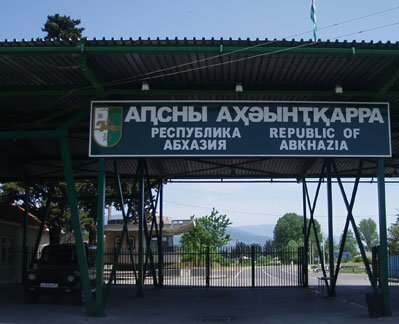 On January 18  Abkhaz leader, Alexander Ankvab, said at a meeting with the [...] region’s foreign ministry leadership that Sokhumi should to cut cooperation with and “expel” those international organization or NGOs which would be offering residents of Abkhazia to take Georgia’s neutral travel documents for trips abroad, adding that Sokhumi would be “insisting” on Abkhaz passports to be accepted by the international community. According to the Georgian State Ministry for Reintegration, up to fifty neutral documents have been issued since November, 2011.